Cover your face with a scarf and try to practice breathing related exercises because bad quality air can prove hazardous to health. When was the last time, you looked up to the sky and raise your arms to feel the freshness of air? Thanks to our busy schedule! 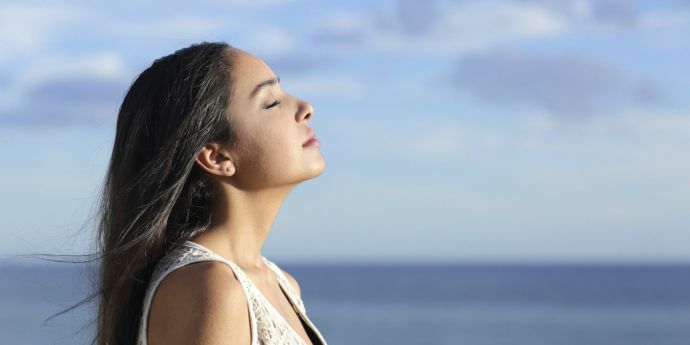 But now even if you spare time from your occupied schedule and plan ahead to get the fresh air, you can’t! Because a high rise of air pollution is observed in the city. 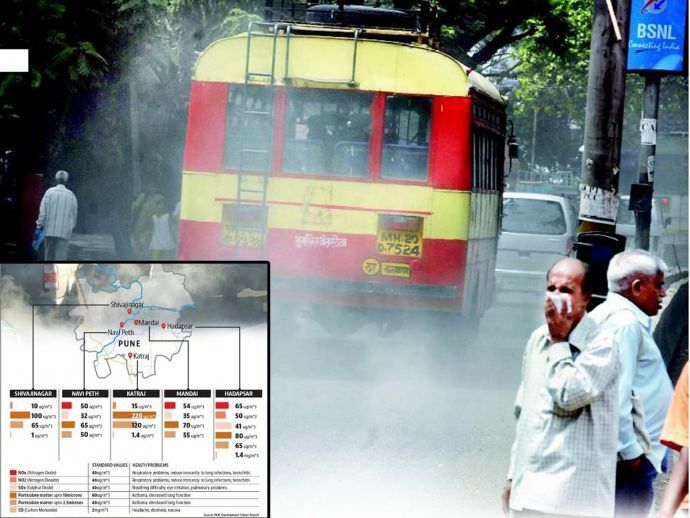 According to the study of Pune Municipal Corporation’s environment status report (ESR) 2016-17, it has been observed that Hadapsar is one of the most polluted regions in the city followed by Navi Peth. Getting a close look at the PMC’s environment status report 2016-17 we got to see that air pollutants like Nitrogen Dioxide (NO2), Nitrogen Oxide (NO) and particulate matter have crossed the standard permissible limit set by the Central Pollution Control Board. 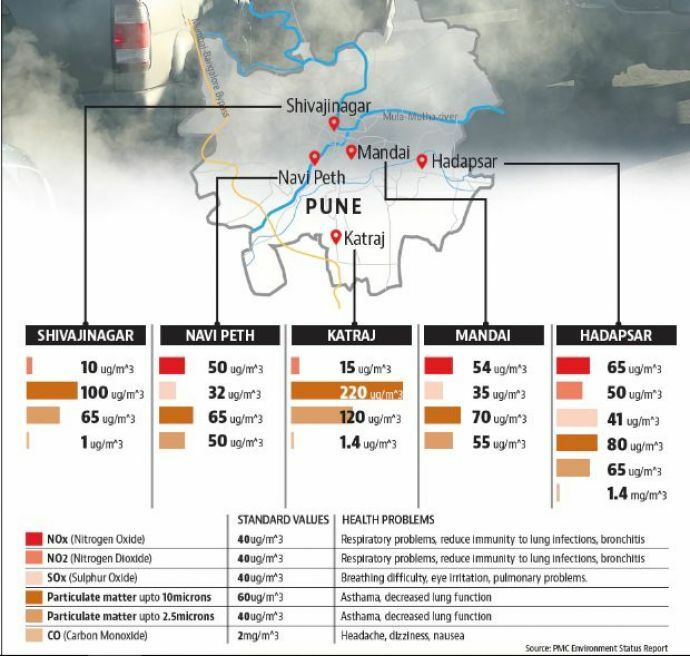 As stated by Pune Municipal Corporation, Hadapsar, Navi Peth, and Mandai are the areas where Nitrogen Oxide was found to have been above the average level. The standard permissible limit for Nitrogen Oxide is said to be 40ug/m^3 (micrograms per cubic meter of air) and the study found out that Hadapsar has Nitrogen Oxide 60ug/m^3 in the air. Other than Nitrogen Oxide, Nitrogen Dioxide was to found to be above the standard permissible level in Pashan, Lohegaon, Shivajinagar, Katraj, and Hadapsar. Apart from the presence of the chemical compound in the air, dust particles are also found to be above the average level. As per the reports, the dust particles of up to 10 microns and 2.5 microns are found to be more in the air.